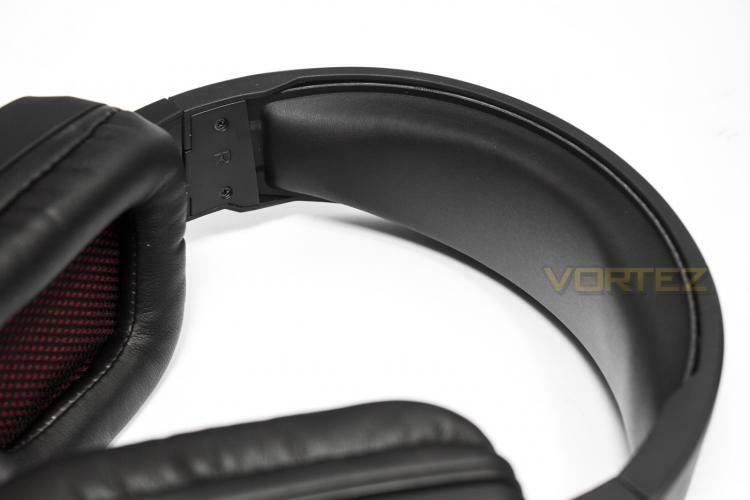 The top of the headband appears to be made from an open plastic frame that features the Viper logo embossed into the top of the padding. 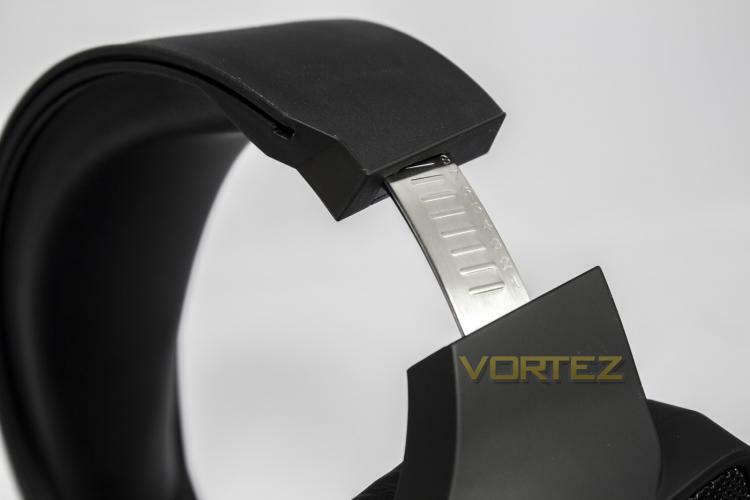 The headband is of course adjustable, using a metal strip for added durability. 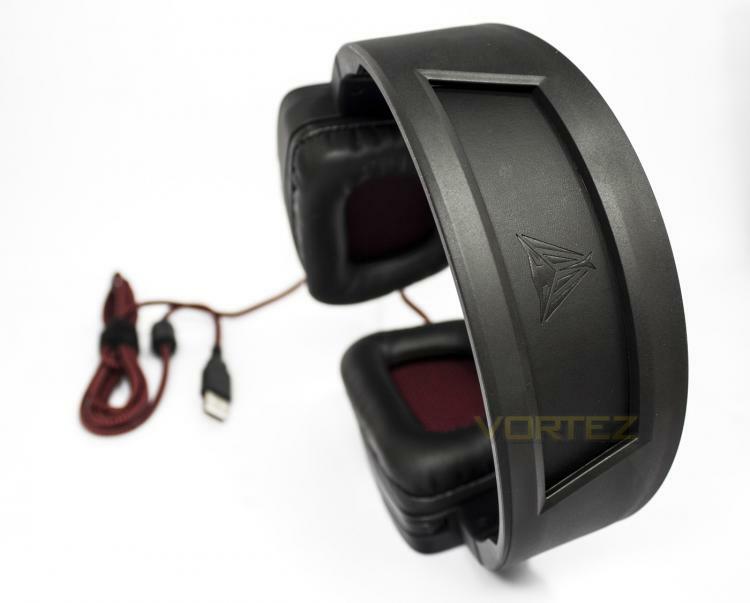 The headband itself is a strip of soft cushioning lined with a leatherette material. 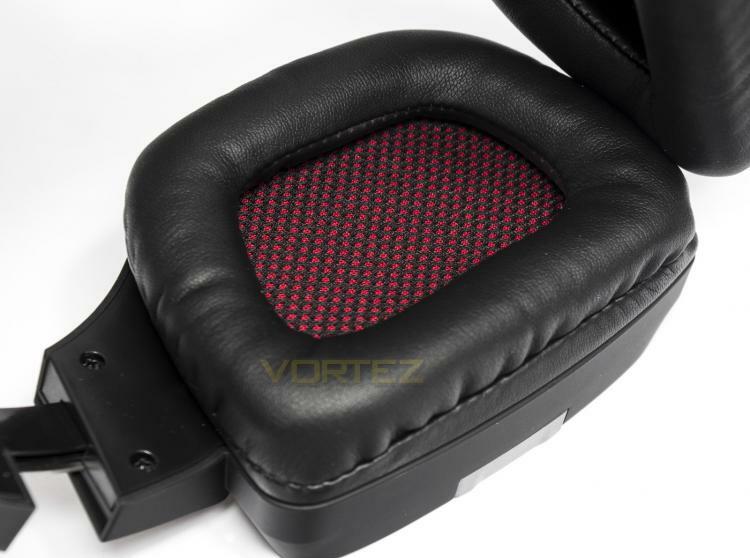 The earcups are large featuring soft padded leatherette cushions (or can be replaced with the included fabric material earpads), and has a black and red fabric lining. 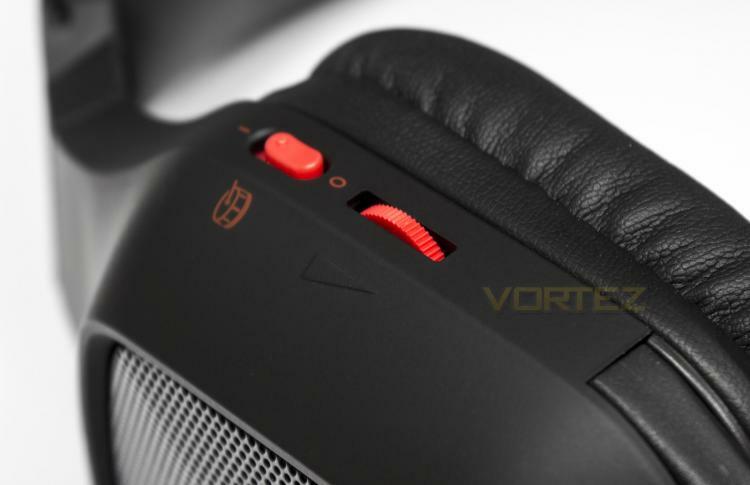 At the back of the left earcup you will find a volume adjustment dial as well as the UBR switch, which enables the additional subwoofers. 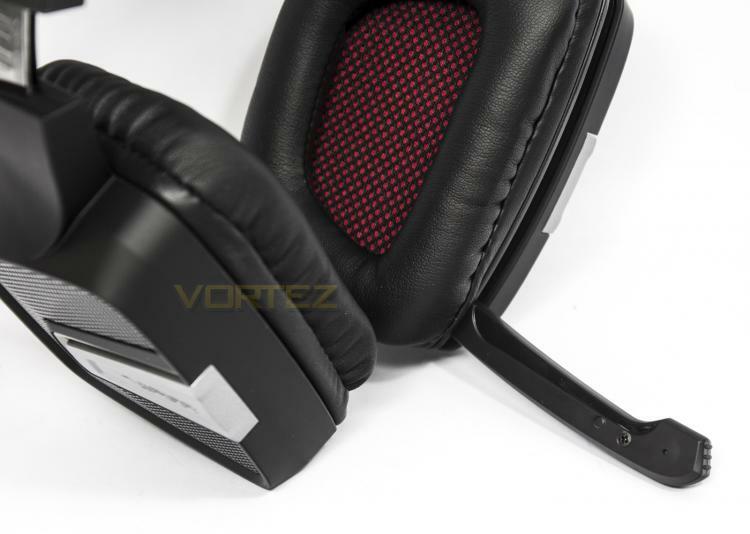 The boom microphone folds down and is solid, folding away will automatically mute it.